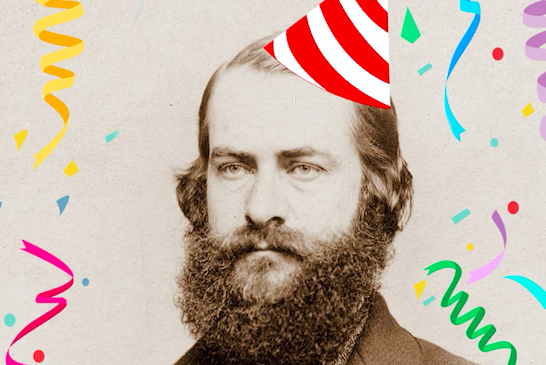 “Libations with Leidy” celebrates Joseph Leidy, a famous Philadelphia scientist. Temple University only has a few bars by campus. There's the Draught Horse, Masters, Pub Webb and Maxi's. If you're tiring of the same scene, there's a new place throwing its name in the mix for places to go for happy hour. On Sept. 16, the Wagner Free Institute of Science will host "Libations with Leidy." The museum is located on West Montgomery Avenue, a few blocks off Broad Street. Joseph Leidy led the Institute from 1885 to 1891. He would be 193 this year if he were still alive today. To celebrate his legacy, the museum is opening its doors to neighbors, students, educators and anyone else who wants to party. The happy-hour event will feature samples from Honeygrow, beer from Yards Brewing Co. and St. Benjamin Brewing Co., a scavenger hunt through the museum, coloring pages, a selfie station with William Wagner and Leidy and displays of Leidy-related museum artifacts. The event is free to enter. Those 21-plus can buy wristbands for happy-hour food and drink for $10 (or $5 for students). Anyone under 21 can still enjoy the museum's open house and scheduled activities. Victorian Happy Hour: "Libations with Leidy"